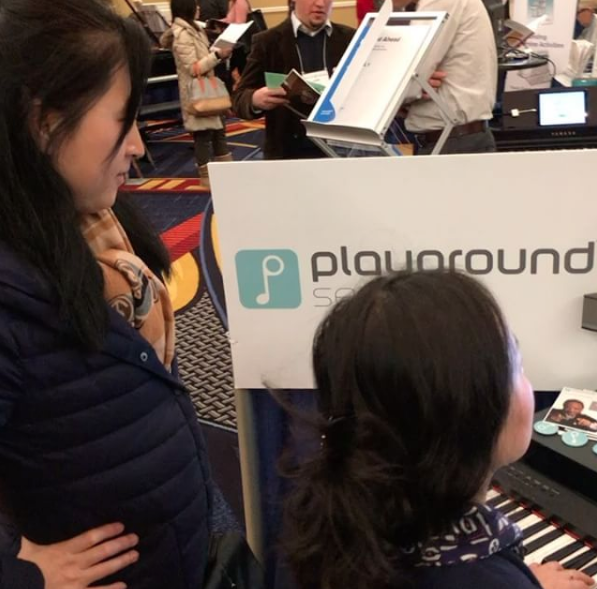 Our exhibitor booth, complete with a Yamaha keyboard and Bose speakers, was the perfect setup for people to get a sense of the power of Playground Sessions. One of our greatest assets, as we’re constantly reminded of by our users, is our library of current popular songs, arranged in different difficulty levels, and their backing tracks. Having a setup that featured these elements of our program proved to make a great first impression. 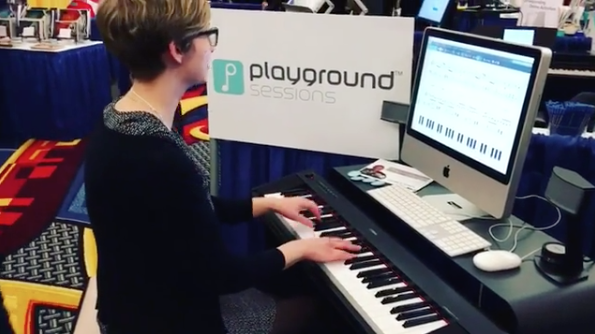 The amount of positive feedback we received from the teachers who came to our booth to use Playground was amazing! People stopped by, sat at our “play station”, picked their favorite songs to play from our song store, selected the difficulty level (most of the teachers picked our Advanced arrangements), then performed those songs for everyone who stood by, often stopping other attendees in their footsteps! 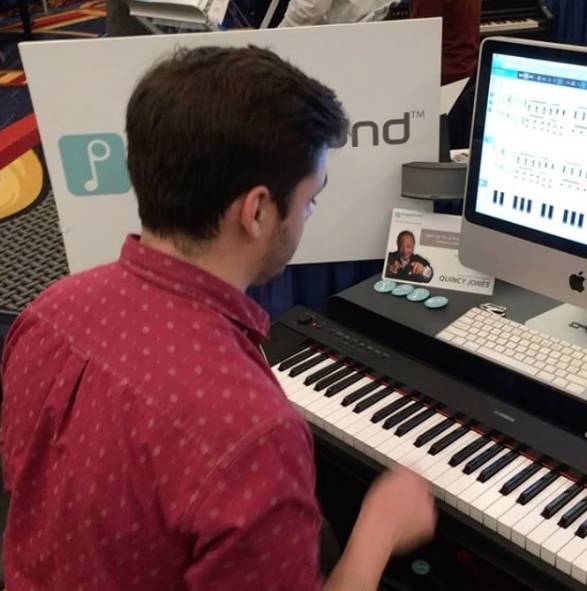 – That we have a section of the app (Bootcamp) that focuses on teaching different piano concepts, which they can use as supplemental content for their lessons. 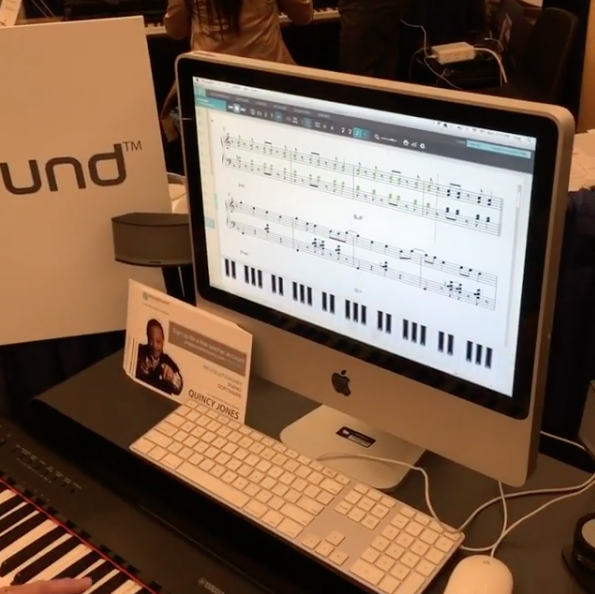 We’re excited by how our program was received by those in attendance at the MTNA conference. As we continue to innovate and improve Playground Sessions, we’re looking forward to rolling out our “Teacher’s Portal” which will allow teachers to easily manage and track the progress of their students. Stay tuned for more information to be provided on this new portal soon. I sense an extremely productive event that Playground Sessions will want to revisit each year.